The time has come. 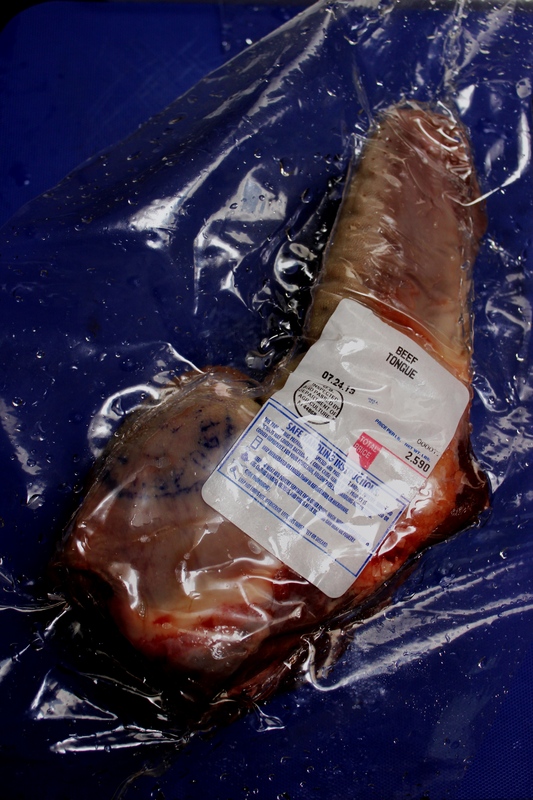 I have teased you enough about my adventures with beef tongue. 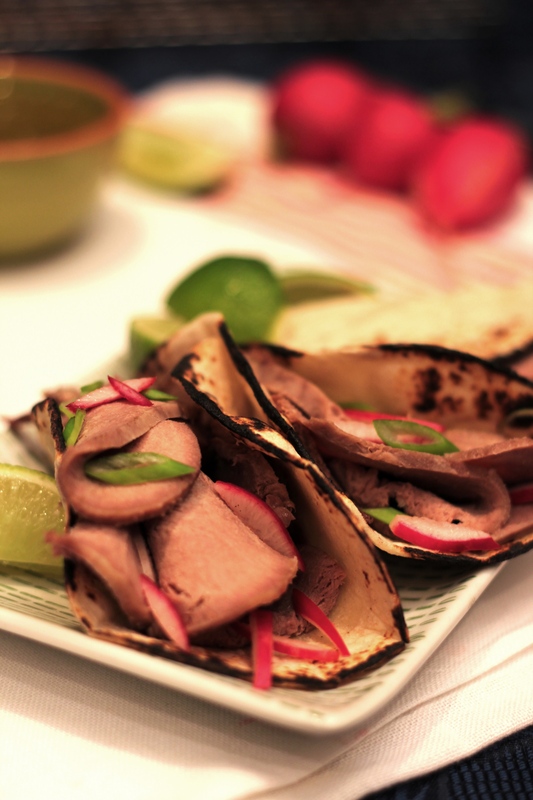 Today, I share with you my adventure in cooking this somewhat mysterious piece of protein and a simple way of turning it into a delicious meal ~ Beef Tongue Tacos. I grew up eating beef tongue, prepared by my mom in a slow cooker, with lots of garlic, sliced super thin, and served on sandwiches, open-faced. Later on in my life, I would often order lengua tacos from Mexican restaurants or tacos truck, always noticing the tender, melt-in-your-mouth (pardon the pun) character of the meat. Needless to say, I am not squeamish about the tongue. 1. Rinse the tongue in cold water and place in a large pot. 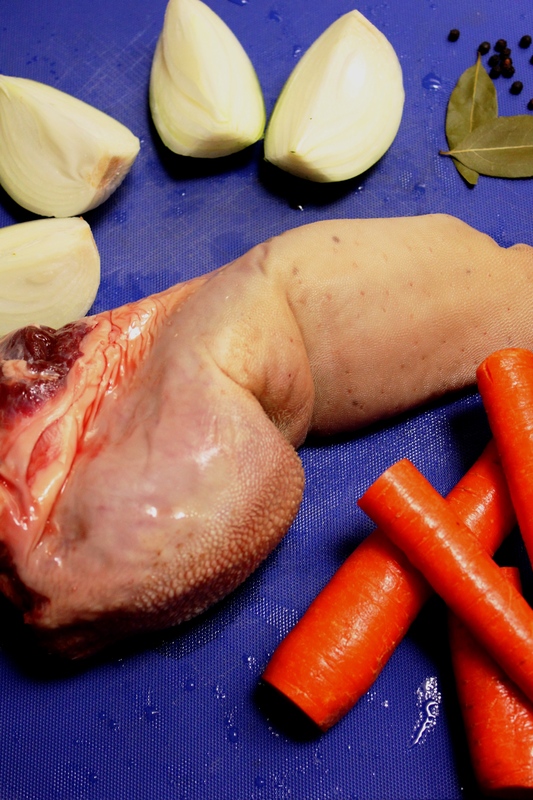 Unless you are buying the tongue from a reputable source, preferably a local, organic farm, be sure to soak the tongue in cold water for several hours, switching the water a few times, to draw out any impurities. 2. Add vegetables and seasonings to the pot and pour in enough cold water to cover the tongue and vegetables by a few inches. Bring to a boil over medium-high heat. 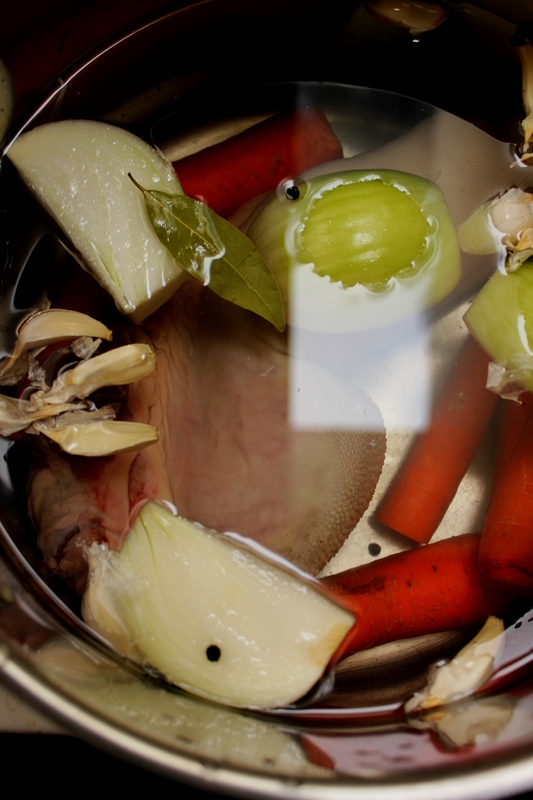 Then lower the heat to low and simmer for several hours, until the tongue is completely tender. I simmered the tongue for almost four hours, though I am pretty sure it was done at the end of two hours. 3. Remove the tongue and cool slightly. Peel off the skin and thinly slice across the grain. 4. Make tacos! 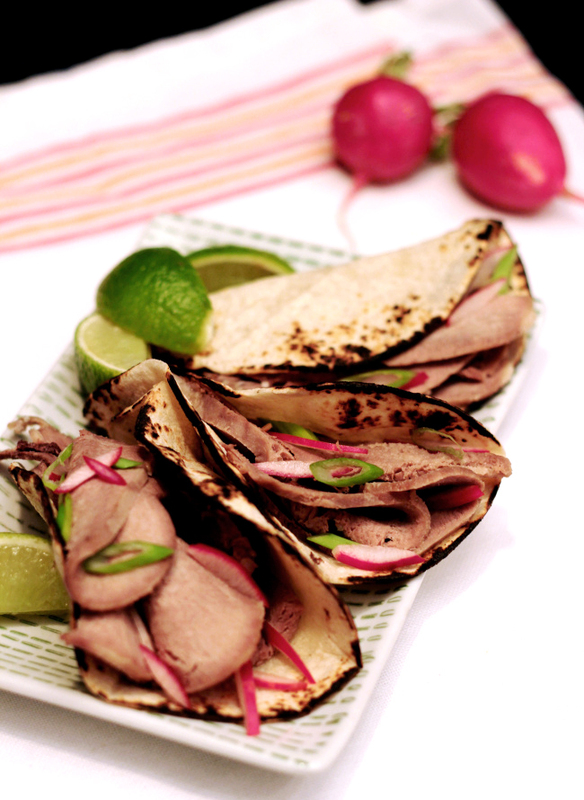 For our tacos, I grilled corn tortillas over gas flame and filled them with slices of tongue and radishes. Garnish with cilantro, lime juice, sour cream, and salsa. I also enjoyed these tacos with Russian-Style Pickled Cabbage. If you would like to experience Farmstr and what it has to offer for yourself (and why wouldn’t you), please sign up for the Farmstr newsletter and Hot Sheet to learn about the great deals offered, in season produce, and the farmers. 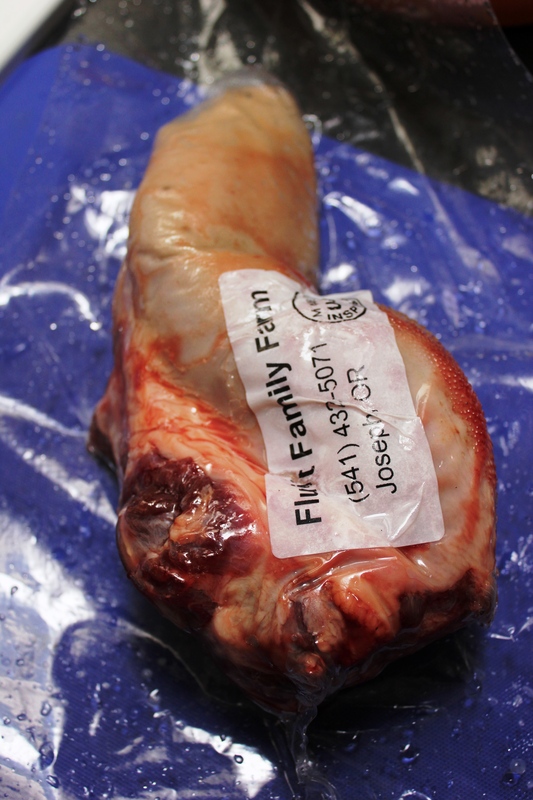 To sign up, scroll to the bottom of the page www.farmstr.com and click on ‘Join Mailing List’. To learn more, feel free to ask more questions and/or read How it Works and FAQ. Disclaimer: I was offered the produce at no charge in exchange for the recipe and review. All opinions stated in this post are my own.